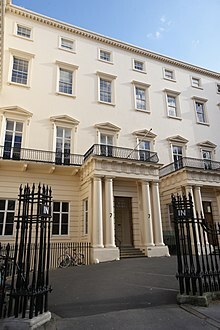 Fellowship of the Royal Society (FRS, ForMemRS and HonFRS) is an award granted to individuals that the Royal Society of London judges to have made a 'substantial contribution to the improvement of natural knowledge, including mathematics, engineering science and medical science'. Fellowship of the Society, the oldest scientific academy in continuous existence, is a significant honour which has been awarded to many eminent scientists from history including Isaac Newton (1672), Charles Darwin (1839), Michael Faraday (1824), Ernest Rutherford (1903), Srinivasa Ramanujan (1918), Albert Einstein (1921), Winston Churchill (1941), Subrahmanyan Chandrasekhar (1944), Dorothy Hodgkin (1947), Alan Turing (1951) and Francis Crick (1959). 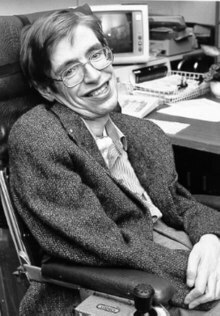 More recently, fellowship has been awarded to Stephen Hawking (1974), Tim Hunt (1991), Elizabeth Blackburn (1992), Tim Berners-Lee (2001), Venkatraman Ramakrishnan (2003), Atta-ur Rahman (2006), Andre Geim (2007), James Dyson (2015), Ajay Kumar Sood (2015), Subhash Khot (2017), Elon Musk (2018) and around 8,000 others in total, including over 280 Nobel Laureates since 1900. As of October 2018[update], there are approximately 1689 living Fellows, Foreign and Honorary Members, of which over 60 are Nobel Laureates. Every year, Fellows elect up to ten new Foreign Members. Like Fellows, Foreign Members are elected for life through peer review on the basis of excellence in science. As of 2016[update] there are around 165 Foreign Members, who are entitled to use the post-nominal ForMemRS. See Category:Foreign Members of the Royal Society. Statute 12 is a legacy mechanism for electing members before official honorary membership existed in 1997. Fellows elected under statute 12 include David Attenborough (1983) and John Palmer, 4th Earl of Selborne (1991). Prime Ministers of the United Kingdom such as Margaret Thatcher (1983), Neville Chamberlain (1938), Ramsay Macdonald (1930) and H. H. Asquith (1908) were elected under statute 12, see Category:Fellows of the Royal Society (Statute 12). Her Majesty the Queen, Elizabeth II is not a Royal Fellow, but provides her patronage to the Society as all reigning British monarchs have done since Charles II of England. Prince Philip, Duke of Edinburgh (1951) was elected under statute 12, not as a Royal Fellow. ^ a b c d e f g Anon (2015). "Royal Society Elections". London: Royal Society. Archived from the original on 2015-09-06. ^ a b c d e f g h Anon (2015). "Fellowship of the Royal Society 1660-2015". London: Royal Society. Archived from the original on 2015-07-15. ^ a b "Fellows Directory - Royal Society". Royalsociety.org. Retrieved 23 August 2018. ^ Dodson, Guy (2002). "Dorothy Mary Crowfoot Hodgkin, O.M. 12 May 1910 - 29 July 1994". Biographical Memoirs of Fellows of the Royal Society. 48: 179–219. doi:10.1098/rsbm.2002.0011. ^ Bretscher, Mark S.; Mitchison, Graeme (2017). "Francis Harry Compton Crick OM. 8 June 1916 — 28 July 2004". Biographical Memoirs of Fellows of the Royal Society. 63: rsbm20170010. doi:10.1098/rsbm.2017.0010. ISSN 0080-4606. ^ "Atta-Ur Rahman - Royal Society". Royalsociety.org. Retrieved 23 August 2018. ^ "Andre Geim - Royal Society". Royalsociety.org. Retrieved 23 August 2018. ^ "Elon Musk - Royal Society". Royalsociety.org. Retrieved 23 August 2018. ^ a b Anon (2007). "Fellowship of the Royal Society: a window on the election process" (PDF). Archived from the original (PDF) on 2016-04-05. ^ Blackstock, Colin (2004). "Fellows keep Susan Greenfield off Royal Society list". London: The Guardian. Archived from the original on 2015-09-13. ^ Anon (2016). "Eminent cancer researchers elected to Royal Society Fellowship". London: Institute of Cancer Research. Archived from the original on 2016-05-25. ^ Anon (2016). "Royal Society Fellowship for Crick scientist". London: Francis Crick Institute. Archived from the original on 2016-05-25. ^ Anon (2016). "Manchester scientists elected as Fellows of Royal Society". Manchester.ac.uk. Manchester: University of Manchester. Archived from the original on 2016-05-07. ^ Anon (2016). "Royal Society Fellows at Imperial College". London: Imperial College London. Archived from the original on 2016-04-15. ^ Anon (2016). "Three University of Aberdeen researchers elected to Royal Society". Aberdeen: University of Aberdeen. Archived from the original on 2016-05-25. ^ Anon (2016). "Five Cambridge University academics join the Royal Society". Cambridge: University of Cambridge. Archived from the original on 2016-04-24. ^ Anon (2016). "Seven Oxford academics elected Fellows of the Royal Society". Oxford: University of Oxford. Archived from the original on 2016-04-30. ^ Keeler, C. Richard (2011). "Three Hundred Fifty Years of the Royal Society". Archives of Ophthalmology. 129 (10): 1361–5. doi:10.1001/archophthalmol.2011.222. PMID 21987680. ^ "Stephen Hawking - Royal Society". Royalsociety.org. Retrieved 23 August 2018. ^ Gulyas, Balázs; Somogyi, Peter (2012). "János Szentágothai 31 October 1912 - 8 September 1994: Elected ForMemRs 20 April 1978". Biographical Memoirs of Fellows of the Royal Society. 59: 383–406. doi:10.1098/rsbm.2012.0038. PMC 4477047. PMID 26113752. ^ Gratzer, Walter (2010). "Sir John Royden Maddox. 27 November 1925 -- 12 April 2009". Biographical Memoirs of Fellows of the Royal Society. 56: 237–255. doi:10.1098/rsbm.2009.0024. ^ Hunter, Michael (2017). "Lisa Jardine CBE. 12 April 1944 — 25 October 2015". Biographical Memoirs of Fellows of the Royal Society. 63: rsbm20170015. doi:10.1098/rsbm.2017.0015. ISSN 0080-4606. ^ Grafton, Anthony (2015). "Lisa Jardine (1944–2015)". Nature. 528 (7580): 40. Bibcode:2015Natur.528...40G. doi:10.1038/528040a. PMID 26632582. ^ Anon (1978). "His Royal Highness The Prince of Wales KG KT GCB OM FRS Royal Fellow". London: Royal Society. Archived from the original on 2015-11-17. ^ Anon (1987). "Her Royal Highness The Princess Royal Princess Anne KG KT GCVO GCStJ QSO GCL FRS Royal Fellow". London: Royal Society. Archived from the original on 2015-11-17. ^ Anon (1990). "His Royal Highness Prince Edward, Duke of Kent KG GCMG GCVO ADC(P) FRS Royal Fellow". London: Royal Society. Archived from the original on 2015-11-17. ^ Anon (2009). "His Royal Highness Prince William, Duke of Cambridge KG KT ADC(P) FRS Royal Fellow". London: Royal Society. Archived from the original on 2015-11-17. ^ Anon (2013). "His Royal Highness Prince Andrew, Duke of York KG GCVO FRS Royal Fellow". London: Royal Society. Archived from the original on 2015-11-17. ^ Anon (1951). "His Royal Highness Prince Philip, Duke of Edinburgh KG Kt OM GBE FRS Statute 12". London: Royal Society. Archived from the original on 2015-11-24. ^ a b c Athene Donald (2012-04-20). "Ten Things You Should Know about Election to the Royal Society". Occam's Typewriter. Archived from the original on 2014-08-24. ^ Gallagher, Paul (2013). "Sparks fly over Royal Society gender study". Independent.co.uk. The Independent. Archived from the original on 2013-07-03. ^ Gallagher, Paul (2002). "A bunch of jolly-good fellows or old cronies who don't deserve £25m a year?". Times Higher Education. Archived from the original on 2014-12-30. ^ Connor, Steve (2002). "Royal societies not recruiting enough women, say MPs". The Independent. Archived from the original on 2016-05-25. ^ "Certificate of Election and candidature: EC/2007/16: Andre Geim". London: Royal Society. Archived from the original on 11 July 2015. ^ "Membership of Sectional Committees 2015" (PDF). Archived from the original (PDF) on 2015-05-05. ^ McManus, Jo (2010). "Royal Society Admissions Day: photographing new Fellows". Archived from the original on 2015-04-14. ^ "Images released by the Royal Society". Wikimedia Commons. ^ Byrne, John (2014). "New images released are quickly put to use". Wikimedia Foundation. Archived from the original on 2014-10-21. ^ Anon (2016). 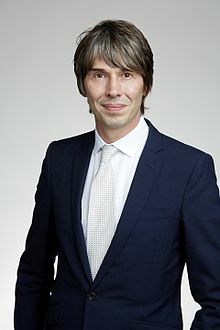 "Professor Brian Cox OBE FRS". Royalsociety.org. London: Royal Society. Archived from the original on 29 April 2016. ^ "Research Fellows directory". Archived from the original on 2016-05-03. ^ "Royal Society Leverhulme Trust Senior Research Fellowship". Royal Society. Archived from the original on 2016-01-18. 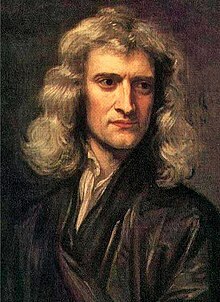 ^ "Newton Advanced Fellowships". London: Royal Society. Archived from the original on 2016-05-15. ^ "Industry Fellowships". royalsociety.org. Archived from the original on 2016-04-10. ^ "Dorothy Hodgkin Fellowship". London: royalsociety.org. Archived from the original on 2015-09-06.